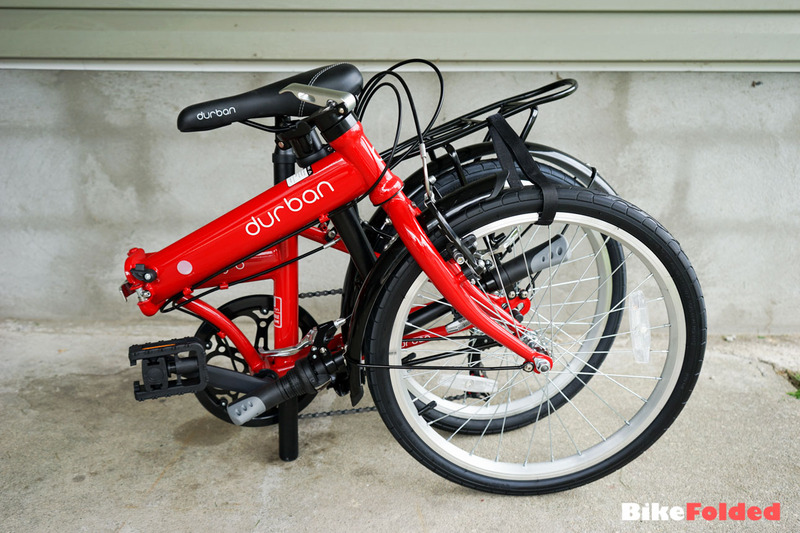 Durban Bay 6 Folding Bike Review - A Stylish Dahon Clone? 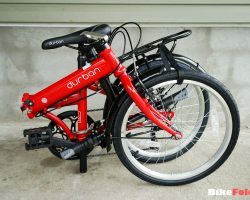 Durban Bay 6 Folding Bike Review – A Stylish Dahon Clone? 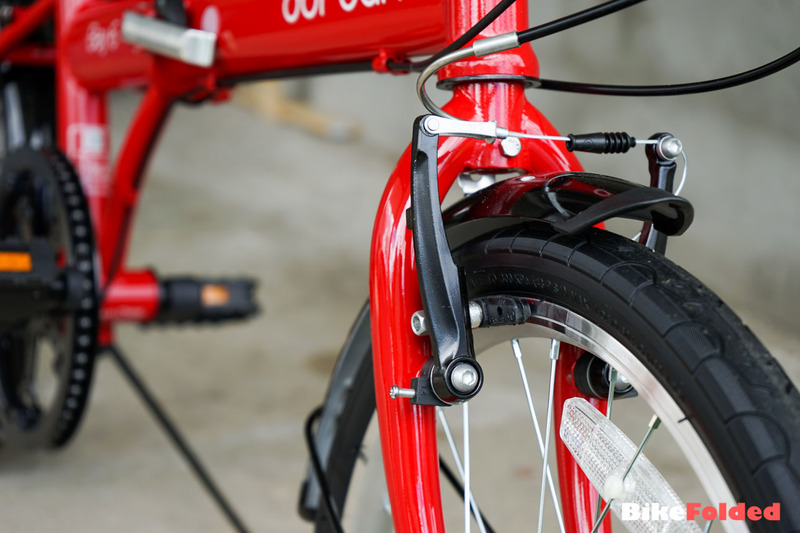 The market of budget folding bikes has never been so crowded with a lot of new bikes released in the last year. 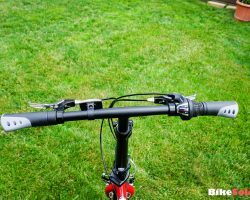 I saw the Durban Bay 6 the other day at Sports Authority and I decided to give it a try. 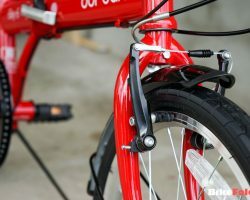 My Durban Bay 6 is the red version and I’m quite impressed with the gorgeous look. 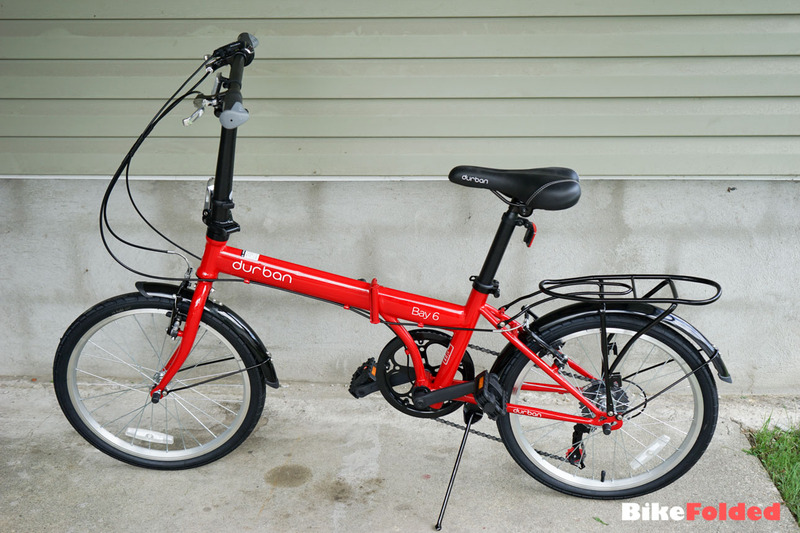 It reminds me of the Dahon Speed P8, moreover, it comes with a kickstand, folding pedals, fenders and a rear rack. 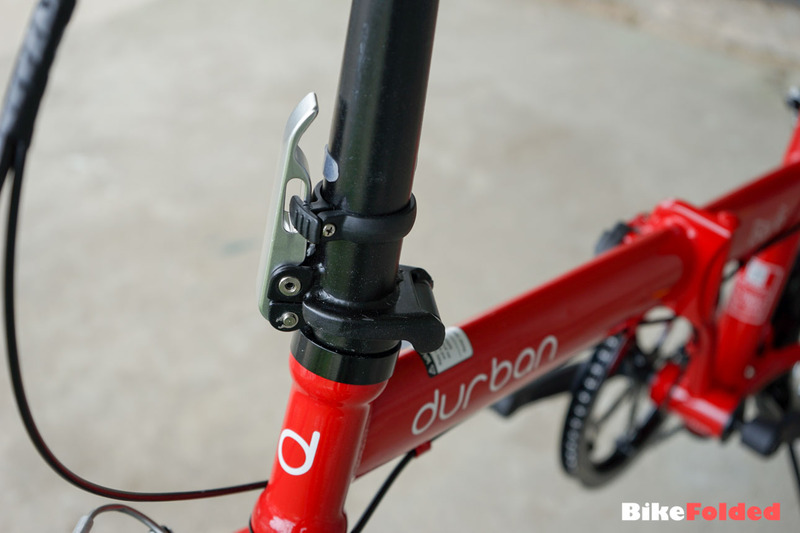 Besides, the Durban B-Type latch is something you might appreciate because it makes the bike cleaner. 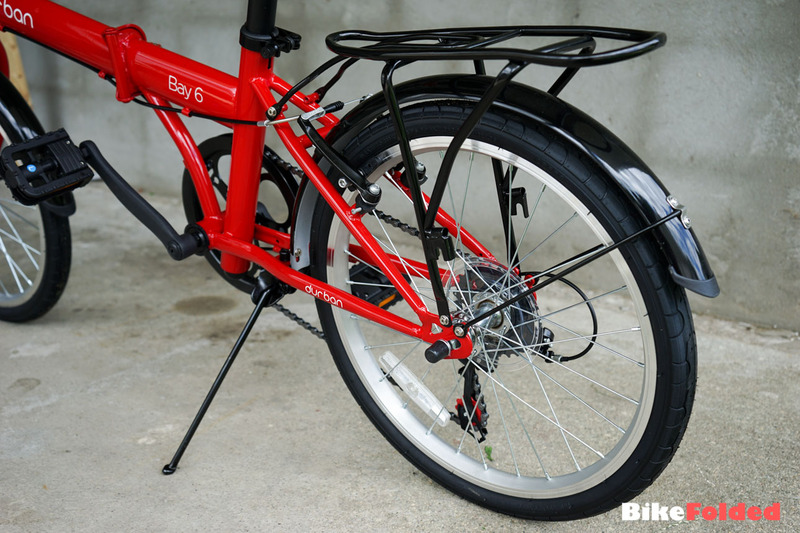 Unfortunately, folding the bike is not as smooth as on Dahon bikes, and there is nothing holding the latch, so the latch is prone to damages and the frame hinge becomes less reliable. 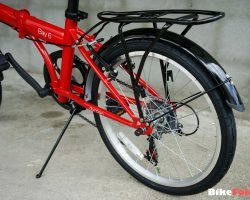 You should also think twice before buying this bike for daily commute because it is very heavy. 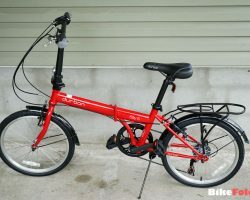 This is one of the heaviest folding bikes on the market, it has the same weight of 32 lbs as the Schwinn Loop and I really hate carrying it around. 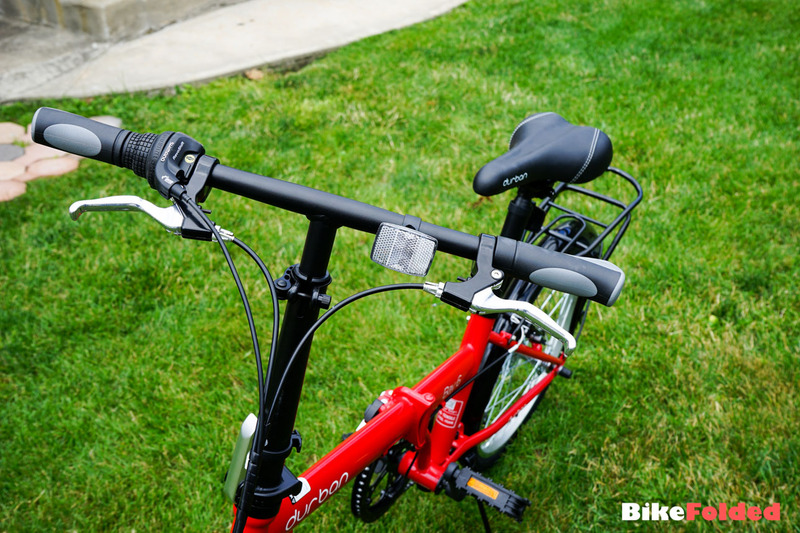 Besides, you will always need to bring the included strap to secure the 2 wheels after folding the bike. 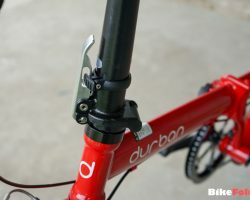 The Durban bike obviously has many disadvantages as compared to other bikes at the same price range. 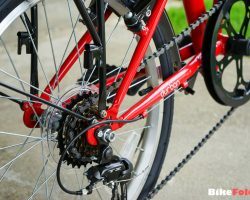 I expected the Shimano 6-speed derailleur can deliver a great experience on the road. 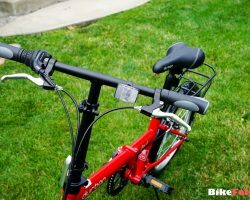 Unfortunately, I’m not really satisfied with its performance. 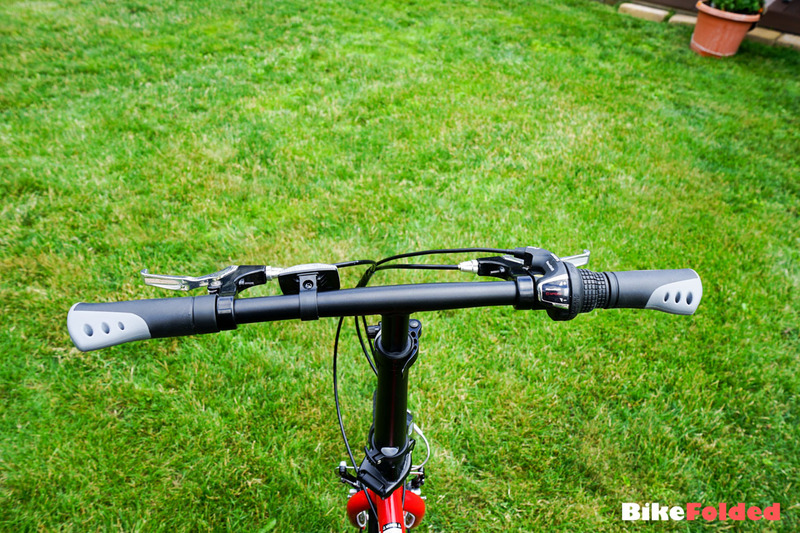 The bike is slow, heavy and I have to walk the bike occasionally on some moderate hills. 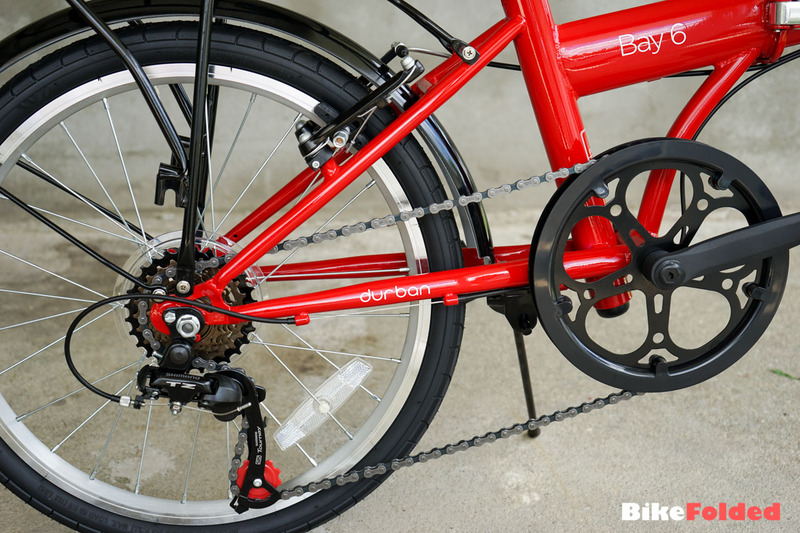 I don’t really like the Durban Bay 6 because it is too heavy to carry on transportation. 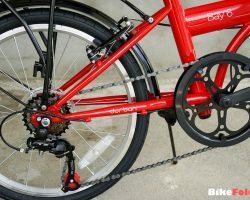 However, it still might be a good choice if you don’t mind the weight and want a multi-geared folding bike. 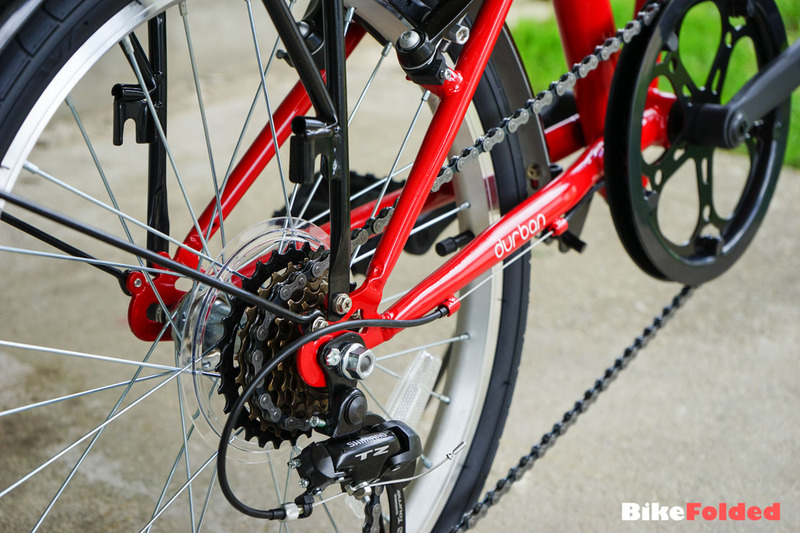 A nice yet heavy bike.